The Speed and Strength Overhaul Jacket is an armored jacket without the armored jacket look! Streamlined efficiency with classic Speed & Strength style. The Overhaul Denim Moto Jacket comes complete with all the armor you need, which eliminates the need to purchase an additional assortment of protectors that is often the case. 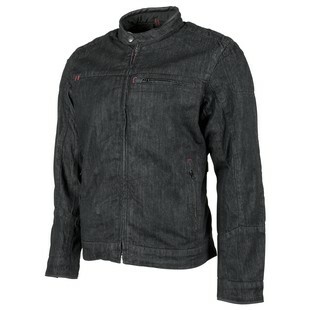 The subdued look makes this jacket perfect for cafe racers or bar hopping Harley riders who are aiming to keep it casual. The removable liner will keep you warm on those cold nights while the subtle red accents on the black version really make it pop stylistically. If you are riding a ground pounding Harley or a clip-on equipped CB, you found your jacket!